As the syllabus for the PG medical entrance examinations is enormously vast nobody can know everything.To complete entire syllabus before exam you will have to concentrate only on the Important topics. 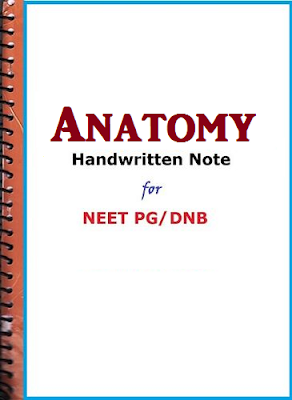 Here We Have Listed The Important & High Yield Topics of Anatomy for NEET- PG, AIIMS, DNB And Other Medical PG Entrances. You should know everything about the region of the shoulder joint, especially the muscles (insertion, action, nerve supply). Apart from that, the important topics in upper limb are Brachial plexus and Axillary artery. Dermatomes of upper and lower limb is also a very important topic. Give special importance to Perineum. Most common questions asked under this topic are from Urethra, Ureter and Pudendal canal. The most important artery from this section is Subclavian Artery. You should pay more attention to the derivatives of all individual ridges. Apart from that neural crest derivatives, branchial arches derivatives and most importantly embryology of orbit must be on tips. Most Important topics are Types of joints, Sphenoid bone, Orbital bone, the Lateral wall of the nose and Middle ear anatomy. Most important topics being types of epithelium and derivatives of different types of Epithelium.